Come Spring/Early Summer 2016 the current Havertown Skatepark, located at Veterans Field will be closed due to the construction of the Haverford Township Municipal Building. 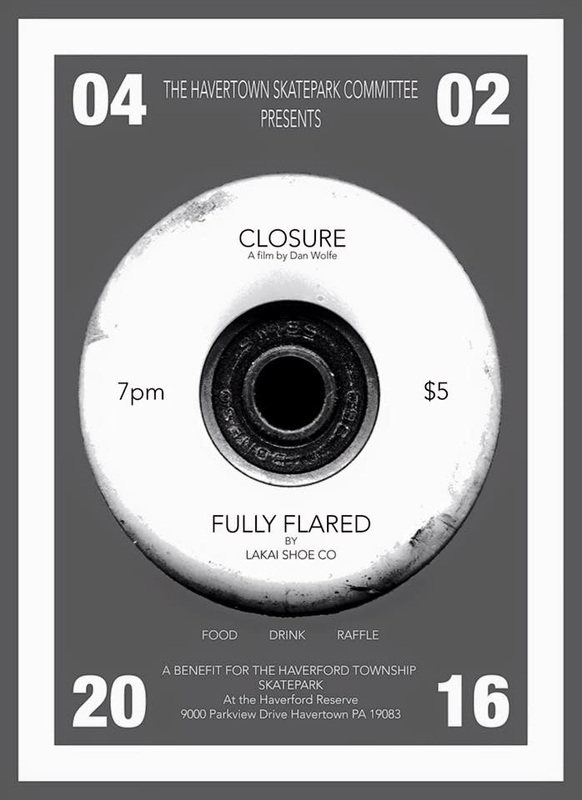 We are looking to raise funds to build a new skatepark at a new location within Haverford Township. The money raised will be used to purchase Skatepark ramps, equipment, materials etc. Our short term goal is to have a temporary location while we continue to raise money for a new permanent, innovative and high quality skatepark. The temporary and new skatepark can be utilized by all residents no matter their age or skill level. We would like to break ground for the new park within a year from when the current park closes. Haverford Township needs a skatepark, one where kids can express themselves, be creative, and form new friendships. Not every kid will be into organized sports, but the skatepark offers them another form of recreation. Providing such a facility to encourage interaction, freedom of expression, and a sense of belonging will help facilitate learning and independence. This helps instill a sense of pride of who they are and where they grew up. We have a few fundraisers planned. The first is our Skate Video Night on April 2nd at the CREC. We will be screening 2 videos that night, both of which represent skateboarding in a positive and creative way. We will also have pizza, pretzels, and bottles of water for sale. We plan to finish the night off with a raffle. We have some skateboards and skate swag to be raffled and Relapse Records will be donating limited edition records for that night. Second, if you want to make a donation to the Save the Skatepark Group, please visit our Go Fund Me site . We have also collaborated with a local record label, Relapse Records, who are not only making donations for our Go Fund Me site but to our April 2nd event as well. For more information or to get involved, contact havertownskateparkgroup@gmail.com.